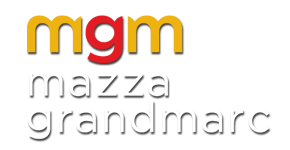 Mazza Grandmarc Apartments, the best selection in University of Maryland Off-Campus Housing, is located minutes from UMD. Just a short trip down Route One takes you from your front door to class. Our community features a dedicated stop on Shuttle UM, the official UMD shuttle servicing Maryland students. The community also features a free bike rental program, called MGM Rides, that allows you to bike using the Paint Branch Trail directly from your apartment to campus! We are located less than a mile from the DC Metro system, MARC trains, and the Capital Beltway Interstate 495. Stay connected to Maryland, the District of Columbia, and northern Virginia without ever setting foot in a car! Our location features shopping, dining and outdoor activities for any lifestyle! Close to campus, stadiums, and activities, it's easy to enjoy the downtown college atmosphere, or escape the buzz and relax at any of the nearby parks and trails!